I snapped this picture last Saturday while waiting for the drawbridge over the Gowanus Canal on 9th Street on my way to Red Hook. There were at least a few cyclists behind me, bringing the total number of people on this side of the street to about twelve. And that’s not including the five or so cyclists I saw on the other side of the bridge once it went down. To top it off, it was a cold and misty morning. Not bad, #bikenyc. Wait. 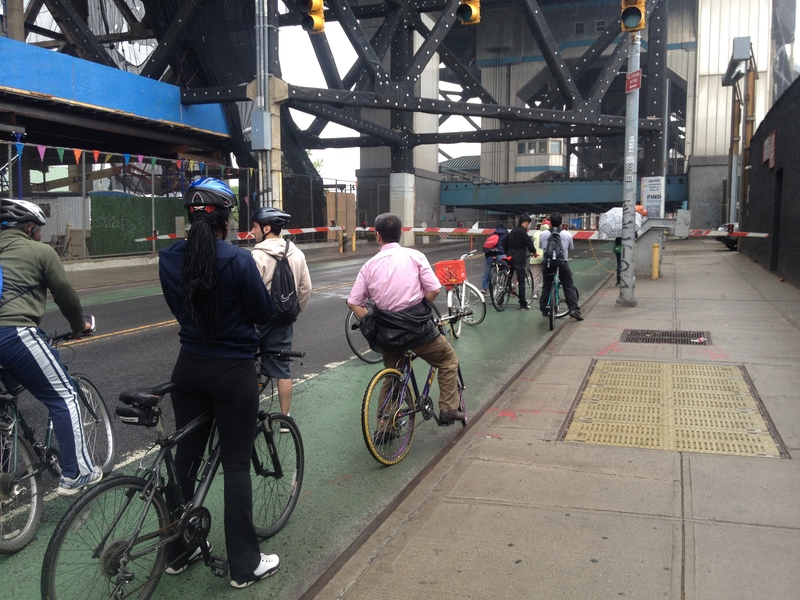 Since when do cyclists stop for drawbridges? Awesome – thought it was one of those bridges inPortland when I first glanced at the shot.